I spent most of the winter exploring the Sourland Mountain Preserve (a local park that has become my unofficial training ground). I love that I have a cool spot so close to home, but felt like I needed a challenging hike to officially open warm weather adventuring season. I thought about the day hikes I most enjoyed last summer and decided to hit the Mt. Tammany loop in Worthington State Forrest – part of the Delaware Water Gap National Recreation Area. The Tammany loop is a 3.5 mile hike that includes an elevation gain of over 1200 ft in the first 1.3 miles, rocky switchbacks, Tammany’s 1,527′ summit, the Dunnfield Creek, and if you’re lucky – some AT thru-hikers. The complete loop consists of the Tammany trail [red dot], the blue blaze trail, a jaunt on the Dunnfield Creek trail [green blaze] and a snippet of the Appalachian Trail [white blaze]. The 1,250′ climb began with my first step past the trailhead – the wooden and dirt staircase is like the Tammany warm up lap. 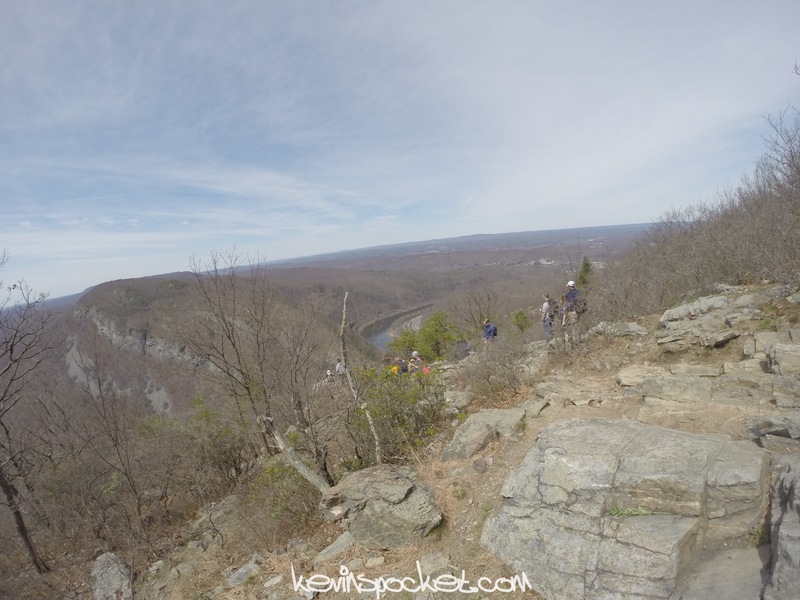 There are two main climbs on the red dot trail beyond the stairs that you’ll have to conquer to get to the summit and the rewarding view of the Water Gap. I passed the stairs, hopped a few boulders and started the first climb. 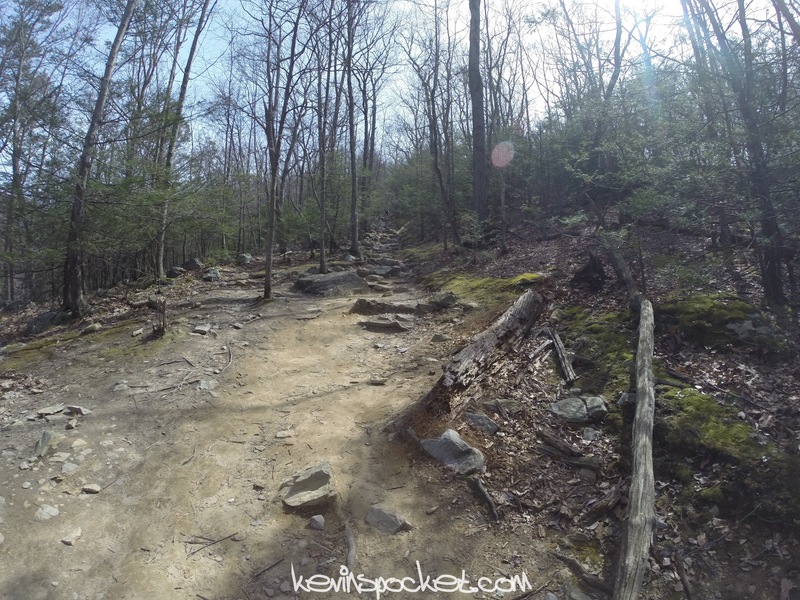 As I repeatedly glanced down at my footing then back to the top of the trail – the memories of last summer started flooding back – I never seem to remember just how steep this climb is. I also forgot that when I got to the “top” – the trail turns to the right and the climb continues. This is the easier of the two climbs – but is still rather strenuous. 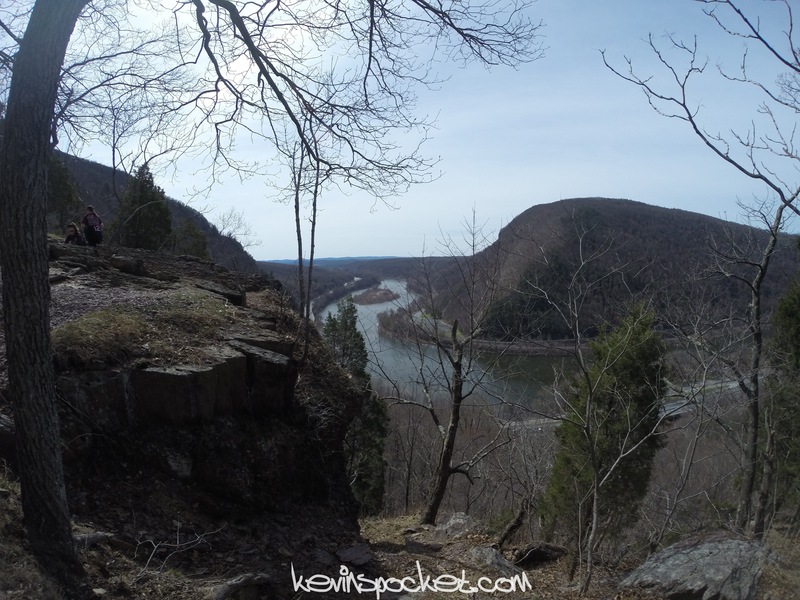 Once you’ve successfully made it to the top, stay to the right of the trail to check out the awesome views of the Delaware River and Mount Minsi on the Pennsylvania side of the gap. I made my way past the views and came upon the second climb. A rocky switchback trail that has several false tops to it. It continues on for longer than you’d think – then goes some more. I feel like every time I hike this trail, the switchback has more trail markers on it. It is easy to lose the trail, so be sure to keep your eye on the red dots. Once I was past the switchback, the trail continued to climb towards the summit, but the really difficult part was behind me. The summit of Tammany has several areas to sit and stare at the view, shady patches of grass, and cliffs to take selfies on. there have been times that I was at the top alone, but have also found large groups just hanging out enjoying the spoils of their climb. I opted to skip the line at the most popular cliff and continue on my hike. The view from the top is great – but I was eager to get to my favorite part of this hike, Dunnfield Creek. I moved past the summit (the end of the red dot trail), picked up the blue trail, and continued along the ridge. 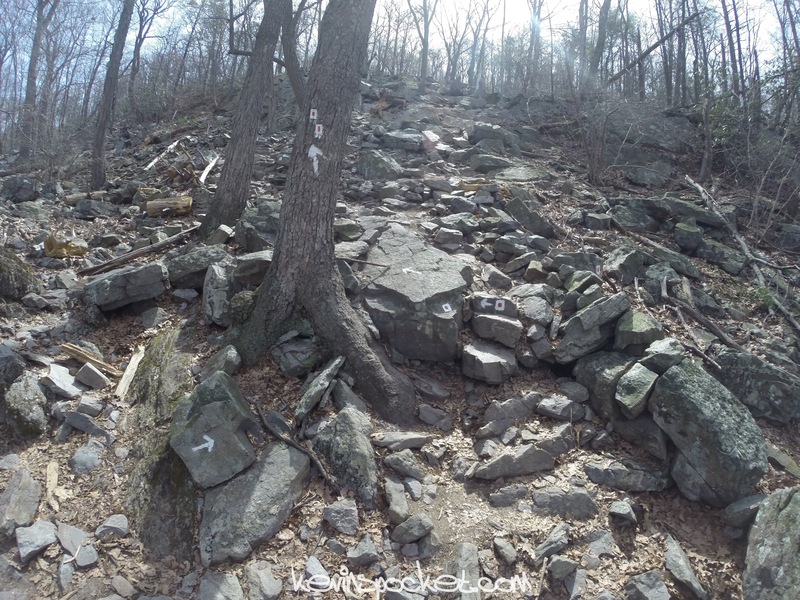 The blue blaze is a pretty easy walking trail – despite the rocks and boulders that you’ll still need to hop over. Keep an eye out for the sign when the trail makes a 90 degree left turn into the woods. The blue trail will take you steadily, but not too steeply, downhill along the North side of Tammany. 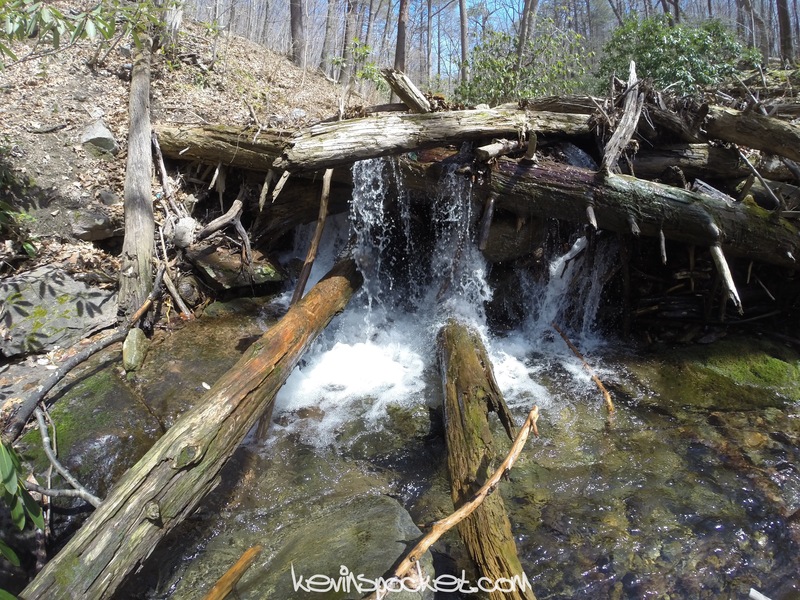 When you start to hear the rushing water of the creek, you’ll know you’re nearing the end of the blue trail and approaching my favorite part of this hike. 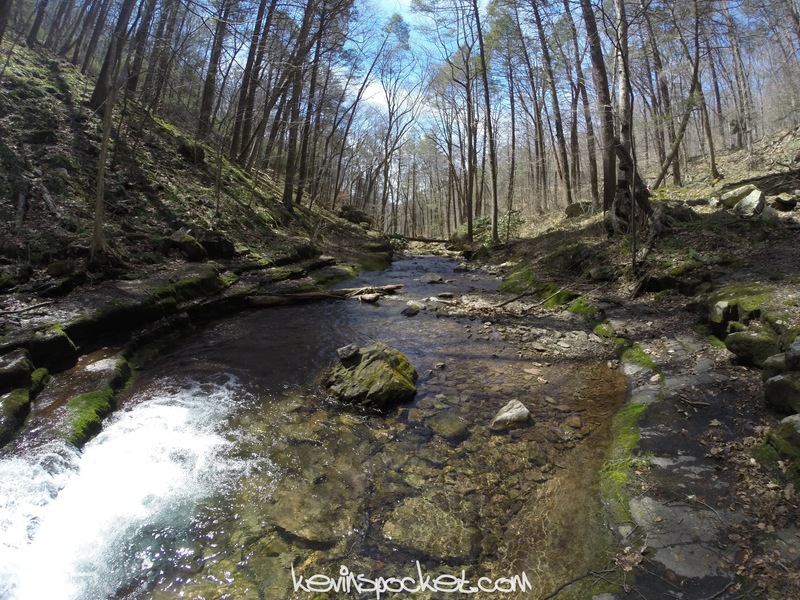 The Dunnfield Creek is full of rushing waterfalls, boulders stacked in ways only nature could configure, and in the summertime, an amazing canopy of green leaves to take a rest and have a snack under. I sat in a shady section near the intersection of the blue and green trails and watched a group of teenagers and their mom exploring the area. After chowing down on some granola bars and rehydrating – I followed the green blazes over the bridge that crosses the creek. I continued down the green trail with the creek on my left. 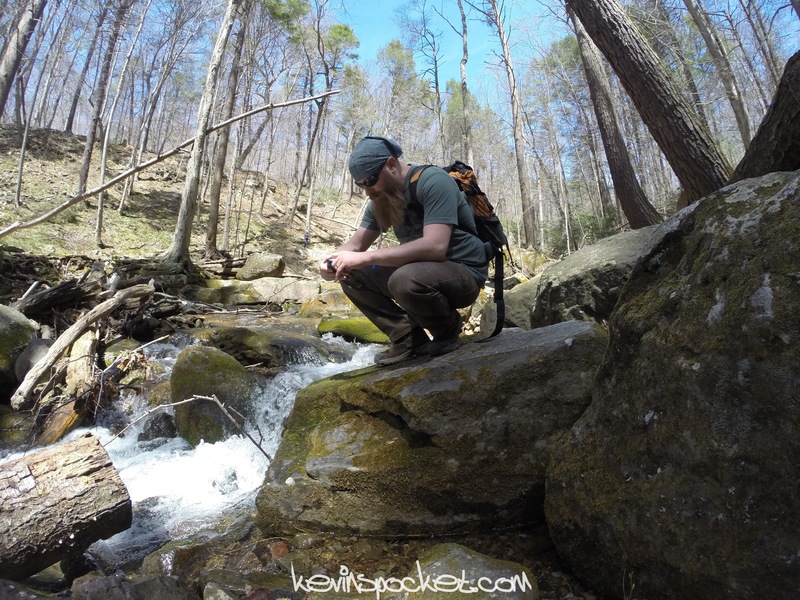 This section always takes me a while to complete – not because its challenging (its not), but because its so hard for me to not stop and look at every waterfall, or boulder cave in the creek. The Dunnfield Creek trail soon meets up with the Appalachian Trail, which you’ll take for less than a mile back to the parking area. There are still plenty of spots to check out along the creek. I crossed the last footbridge and arrived back at the Dunnfield parking area. 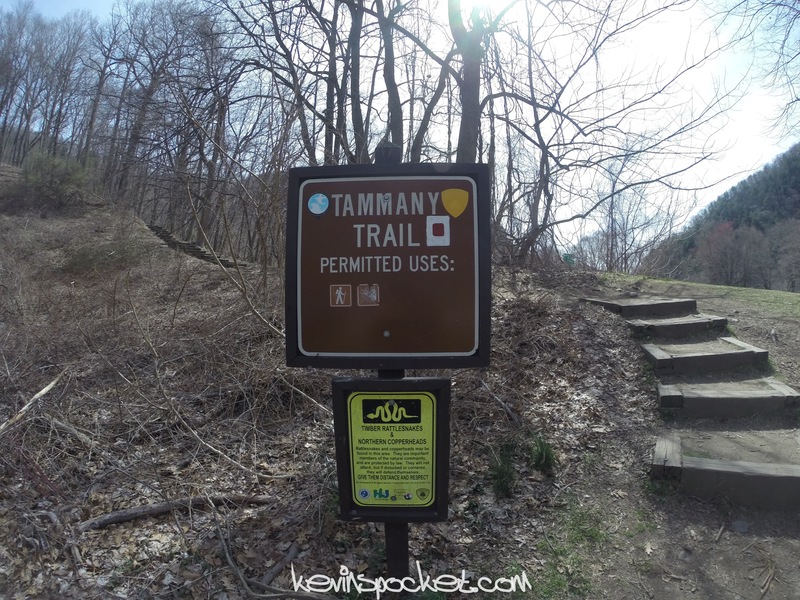 Tammany is one of my favorite hikes in New Jersey – since a lot of people share that sentiment; you’re not likely to have the trail to yourself. I would classify this route as moderate due to the steep altitude gains of the red dot Tammany trail. As always be sure to bring plenty of water (I brought 3 liters and drank 2 of them) and some snacks (trail mix, fruit and granola bars are my favorite). 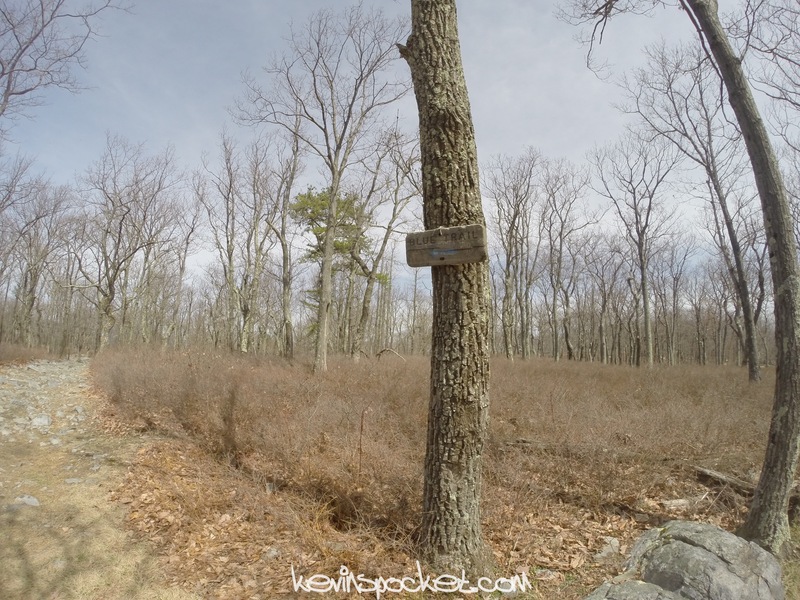 If you’re looking for an easier hike in the area; skip the summit and take the AT to the Dunnfield Creek trail (it is my favorite part after all). 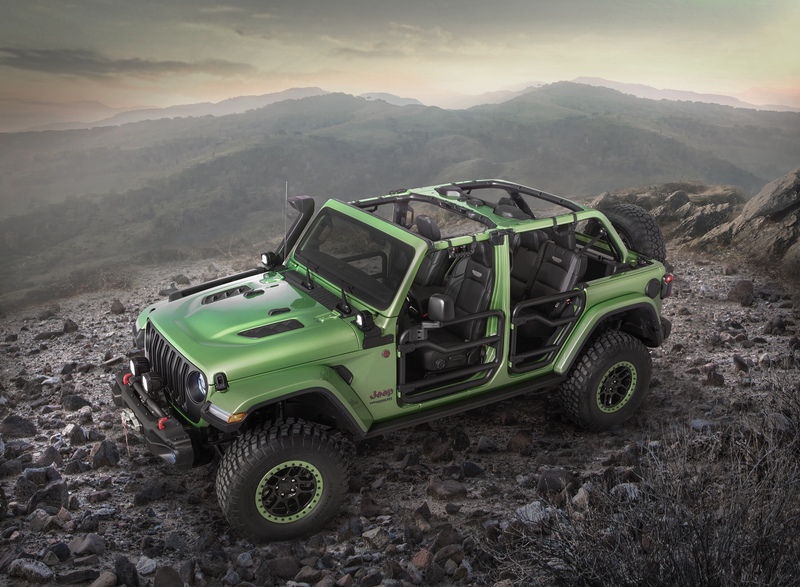 Have fun and enjoy the outdoors! Sierra Blue Jeep Renegade sighting!